From a dark site the glow of Zodiacal Light rivals the Milky Way in brightness. This was the scene every night last week in the evening sky from our New Mexico observing site. 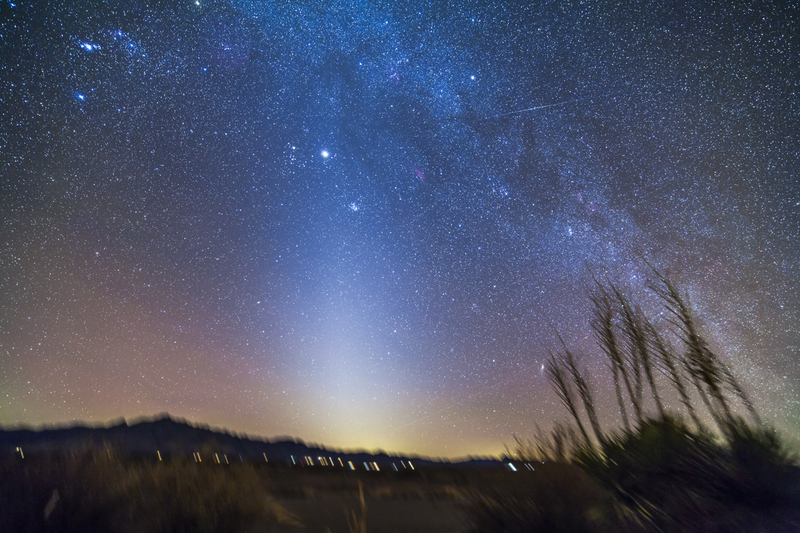 The vertical glow of Zodiacal Light was a source of natural light pollution brightening the western sky. I’ve never see it more obvious in the west and this was the perfect season to see it. In March from the northern hemisphere the ecliptic – the plane of the solar system – is angled high into the western sky, almost vertical from the latitude of southern New Mexico. The Zodiacal Light lies not in our atmosphere but comes from interplanetary space, and follows the ecliptic. 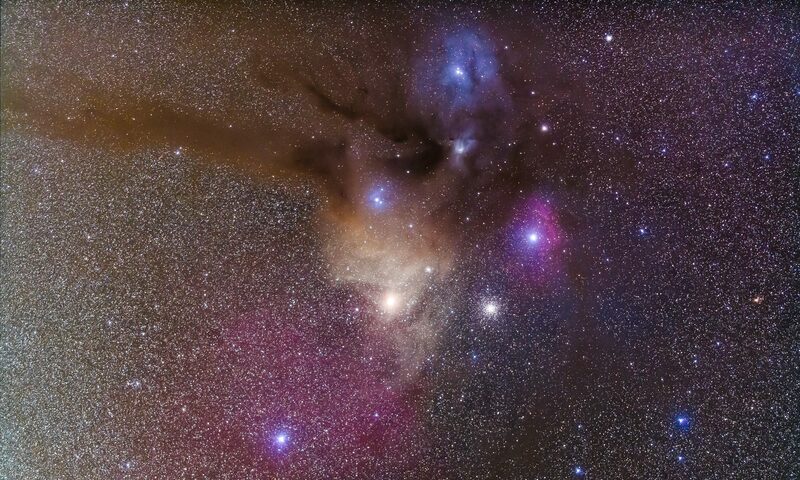 What we were seeing was a glow of sunlight being reflected off fine dust particles orbiting the Sun in the inner solar system, likely spread by passing comets like PANSTARRS. I blogged about the Zodiacal Light last month, in photo taken from home in southern Alberta. You can also read about it at the excellent Atmospheric Optics website. You don’t need to be in the desert to see it, but you do need dark skies. And no Moon in the sky. At last week’s dark of the Moon period, Jupiter sat at the apex of the Zodiacal Light, just above the Pleiades star cluster. Near the top, right of centre, you can also see a short satellite trail, likely from a flaring Iridium satellite.